Guajilote is a tropical tree from South America bearing edible fruits. It is believed to be a native of Mexico and Guatemala.. 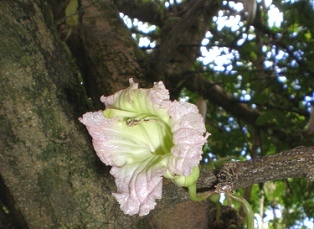 The tree looks very ornamental due to the interesting shape and the greenish cream flowers which mostly arise directly from the stem. 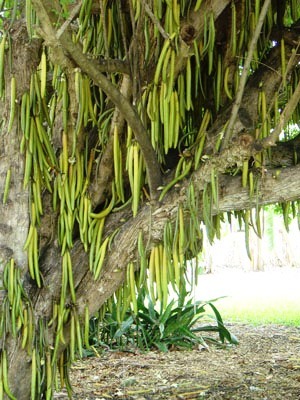 Guajilote is a near relative of candle stick tree. 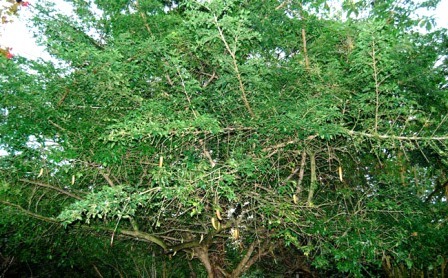 It is a multipurpose tree planted in gardens. A medium sized tree growing upto 10 m.
Flowers white, attractive, often borne on stems. Fruits slender and long, 3-5 cm wide and upto 25-30 cm long having a waxy skin, fibrous and juicy, sweet, tasting somewhat like sugarcane. The fruits, which look like a greenish yellow cucumber, are edible. They have quite pleasant flavour. Besides eaten fresh, these are also made into preserves. These fruits are also cooked, roasted and pickled. They are also said top have certain useful medicinal qualities. 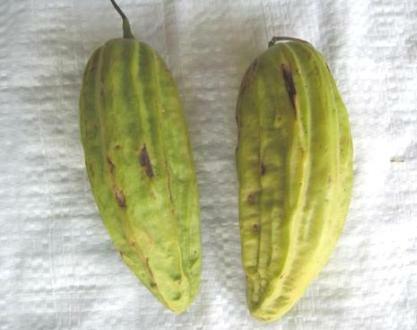 Guajilote is mostly planted in gardens not as a fruit but as an ornamental plant. It is fairly hardy and does not get injured if the temperature falls to 0 C for short durations. 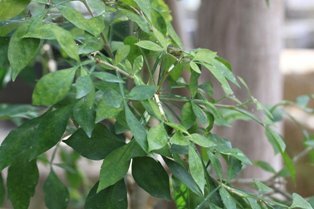 Though guajilote is basically a tropically plant, but it also grows easily in mild subtropical climate. It seems to prefer sunny locations would also require to be irrigated at frequent intervals during the dry season.